In 1973, a group of students coming from John Spring Jr. High who were part of Los Mexicanitos Folklorico arrived at Tucson High in search of continuing their cultural dance experience. They began a journey to find a sponsor to help them continue what they found dear to their heart. During their journey Rafaela Santa Cruz, Stewart Kaplan, and Edmund Hughes volunteered to sponsor this group of students. The group found themselves lacking male partners so they went to recruit males from the wrestling team. From there the group began their journey to create the Ballet Folklorico Los Tucsonenses. Los Tucsonenses began as an after school activity with a few students and an instructor, Ms. Rafaela Santa Cruz. As the interest of the student body began to grow Ms. Santa Cruz proposed that this activity be part of the school's curriculum where students learned about Mexico's history, music, dance and culture. Throughout the years Ballet Folklorico Los Tucsonenses has had talented and dedicated instructors such as Ms. Deanna Taylor (1981-1985), Mr. Manuel O. Contreras (1985-1987), Ms. Elizabeth Almgren (1987-1994), Chantal Ralls (2011-2013), Ms. Marcela Cardenas (1994-2015), and Bruno Loya (2015-present) who is the current program director. The dedication, passion, and contribution these educators gave have helped form Los Tucsonenses into what it is today. Tucson High Magnet School now specializes in Visual & Performing Fine Arts and currently offers over 20 visual and performing fine art classes. The folklorico dance program is now divided into four levels which includes beginning, intermediate, advanced, and the performing group referred to as Los Tucsonenses. 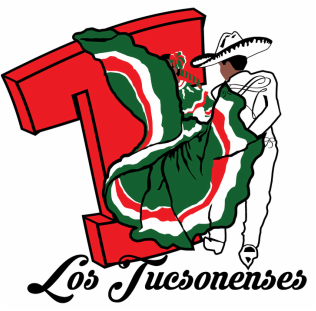 Now in its 44th season, Los Tucsonenses currently consists of over 160 students with diversity in nationality, language, and culture.